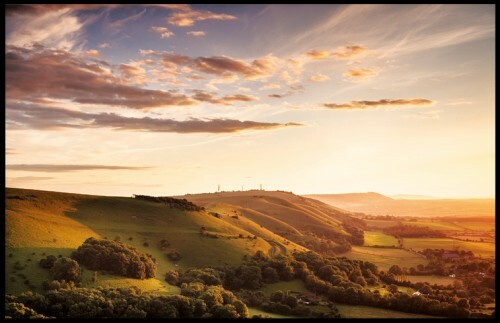 The Redroaster coffee house in St. James’s Street, Brighton is currently hosting an exhibition of photographs of the South Downs by Finn Hopson (until 30th March). This entry was posted in Art, Food & Drink, Home Page, National Park, Topography, Truleigh Hill. Bookmark the permalink.